Finding the perfect opportunity for a closet do-over? Here is your chance. 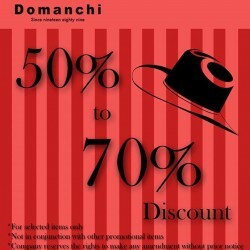 Domanchi is having storewide promotions at all our outlets islandwide. From Top to Bottom, accessories to shoes everything cost 20% lesser. Wait no further and head on down today! 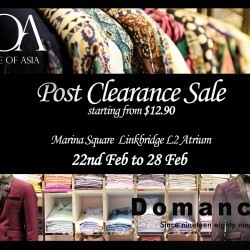 People of Asia & Domanchi will be having a clearance sale starting from $12.90 from the 22nd to 28th February at Marina Square. 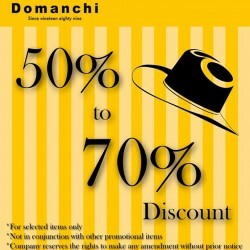 Come down to enjoy major discounts on their apparels and accessories. Hurry while stocks last! 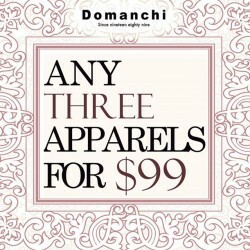 Enjoy Domanchi offers any three apparel for only $99 their promotion is still on! Visit their outlets to enjoy this bundle discount!Term and condition apply. 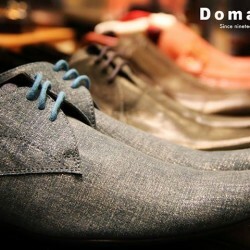 For a limited time only, get Men's Shoes at $69 per pair at their Marina Square outlet, do not let someone beat you to it! 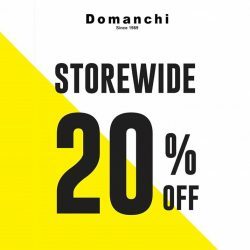 Come down to Domanchi stores this March and shop to your heart's content. With discounts up to 70% off, there is no need to hold back! Come down to their stores this March and shop to your heart's content. With discounts up to 70% off, there is no need to hold back! 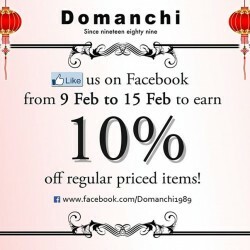 Simply like Domanchi Facebook page and show it to their kind cashiers to enjoy CNY discount on your purchase to earn 10% regular priced items from 9 Feb to 15 Feb 2015!